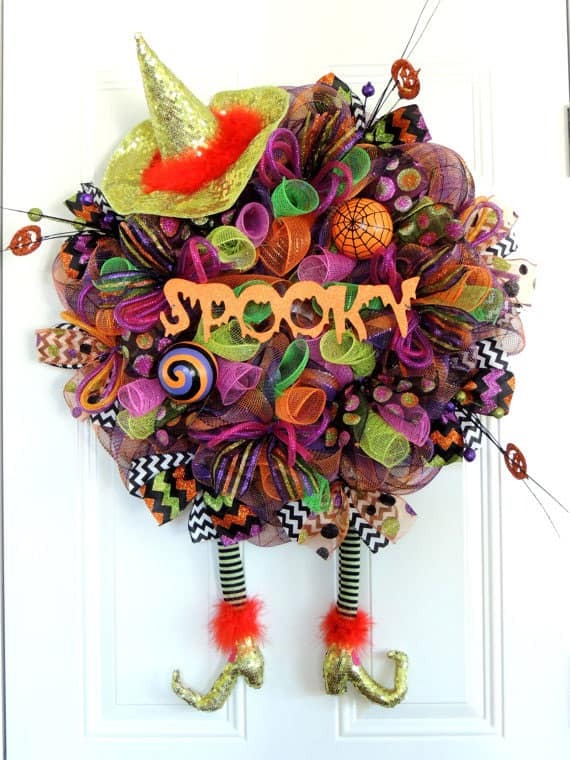 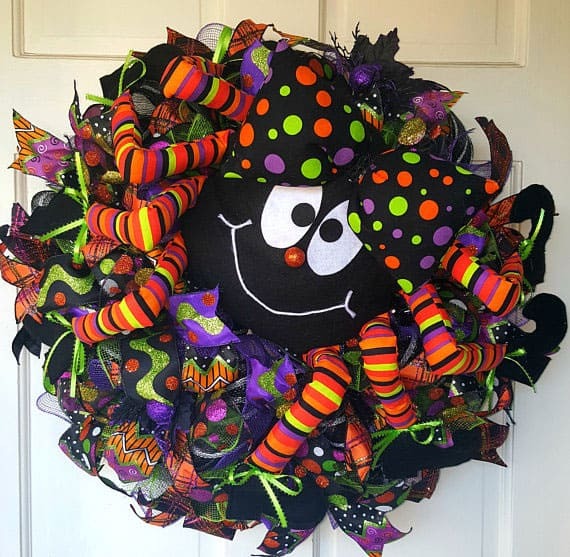 Add some colour and whimsical charm to your front door this October with one of these fabulous deco mesh Halloween wreaths adorned with everything from talking witches to spooky spiders! 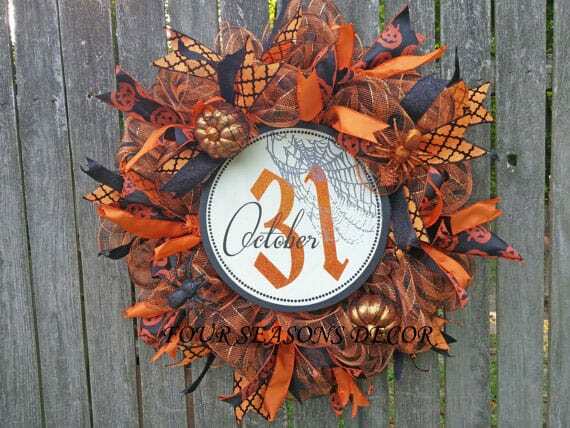 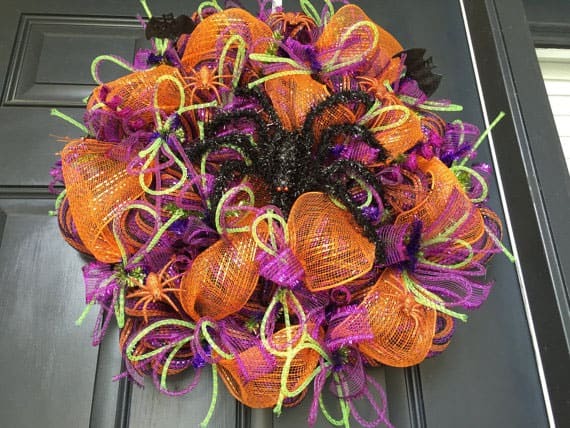 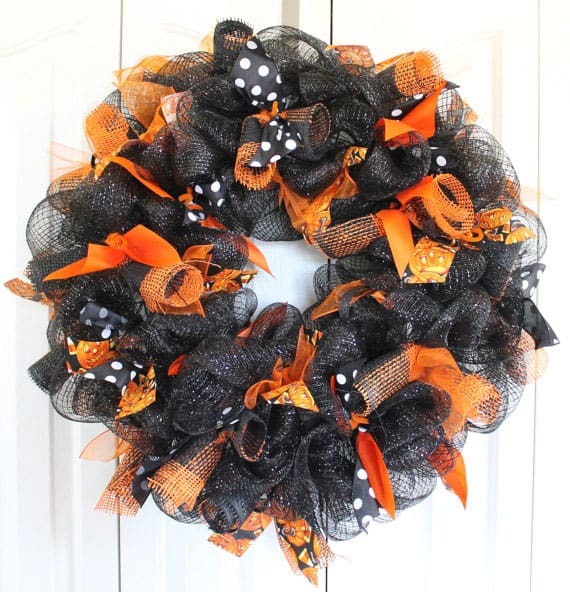 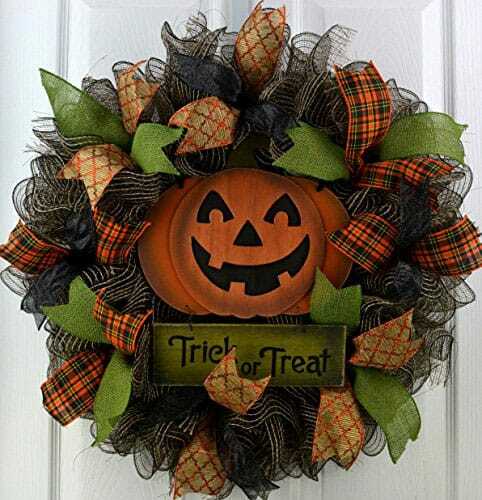 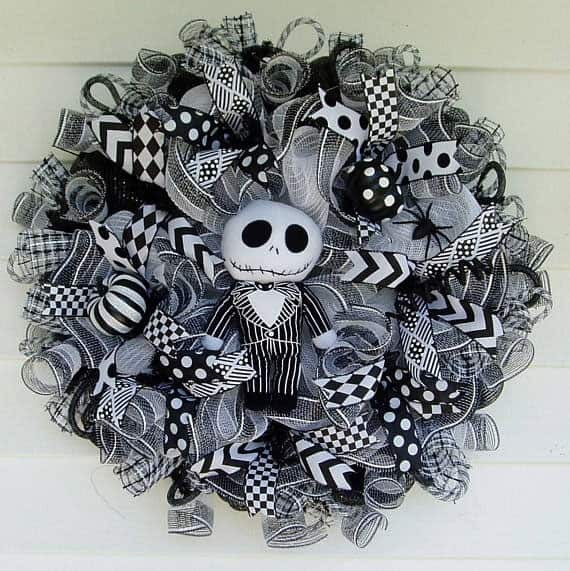 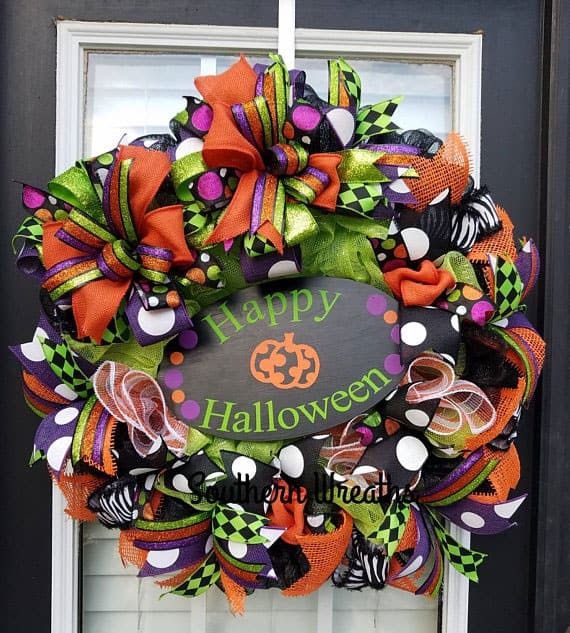 We love this 26 inch deco mesh Halloween wreath and think it would be a fabulous way for you to welcome your friends into your home for Halloween! 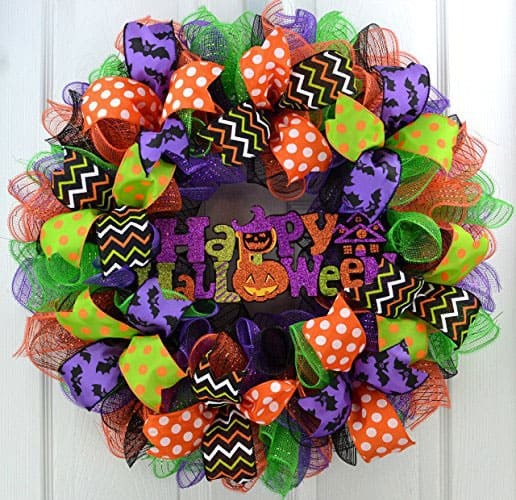 The wreath is made with two rounds of purple and lime green deco mesh and then another round of black mesh. 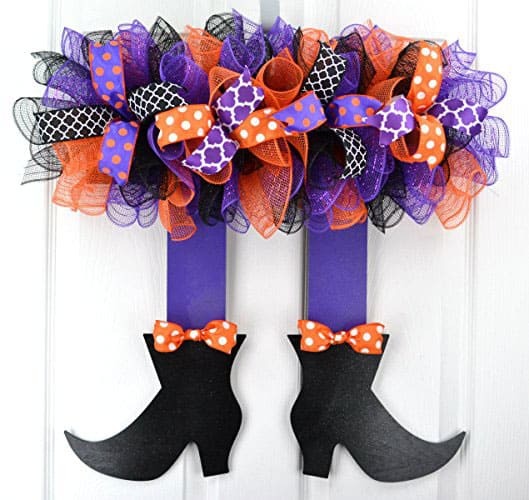 We love the purple green combo when it comes to Halloween home decor! 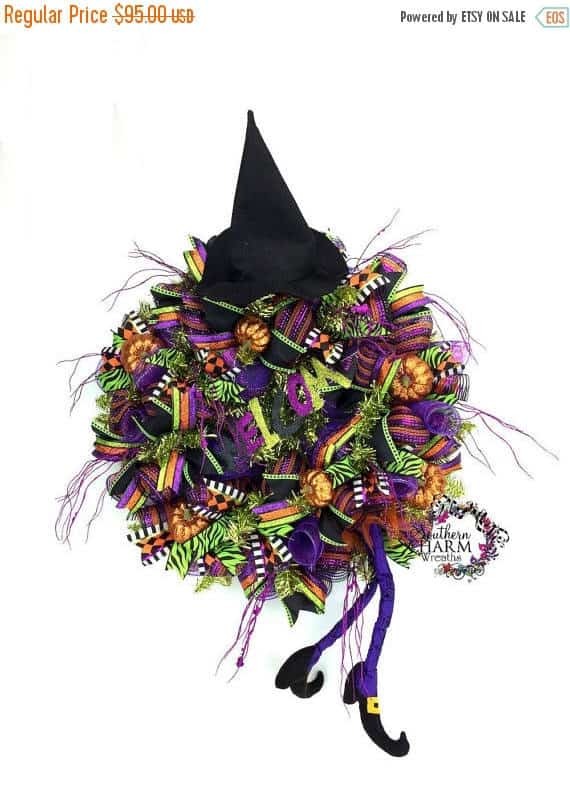 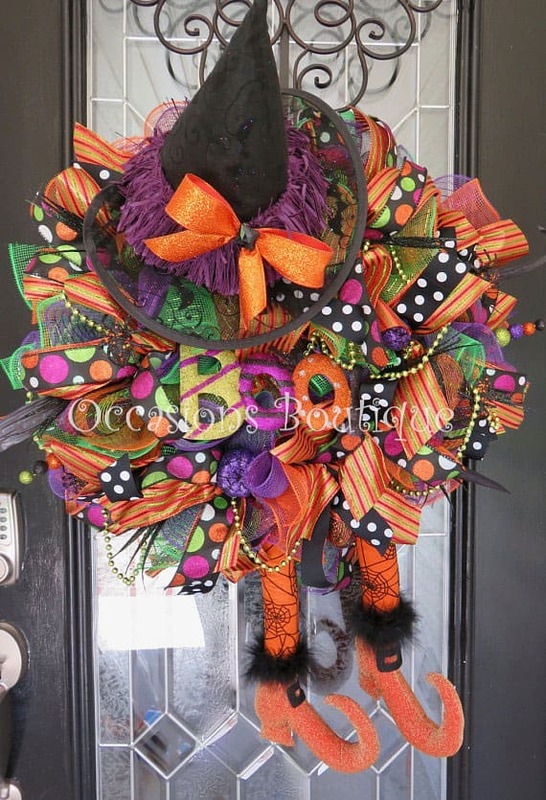 There’s also some fabulous lace to fill out the wreath, and then the centerpiece Miss Witch on her broomstick. 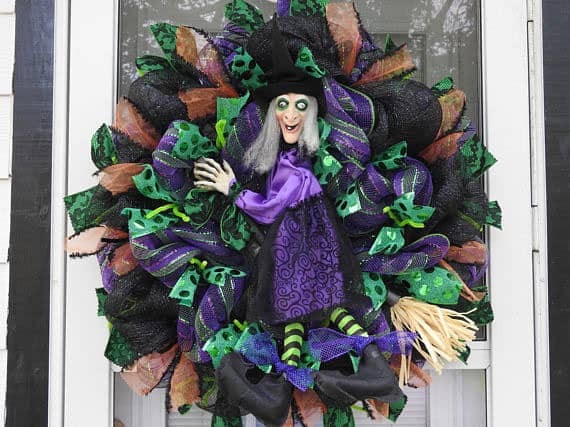 And your trick or treaters will need to be extra nice to Miss Witch because she swings her legs, shakes the wreath and talks! 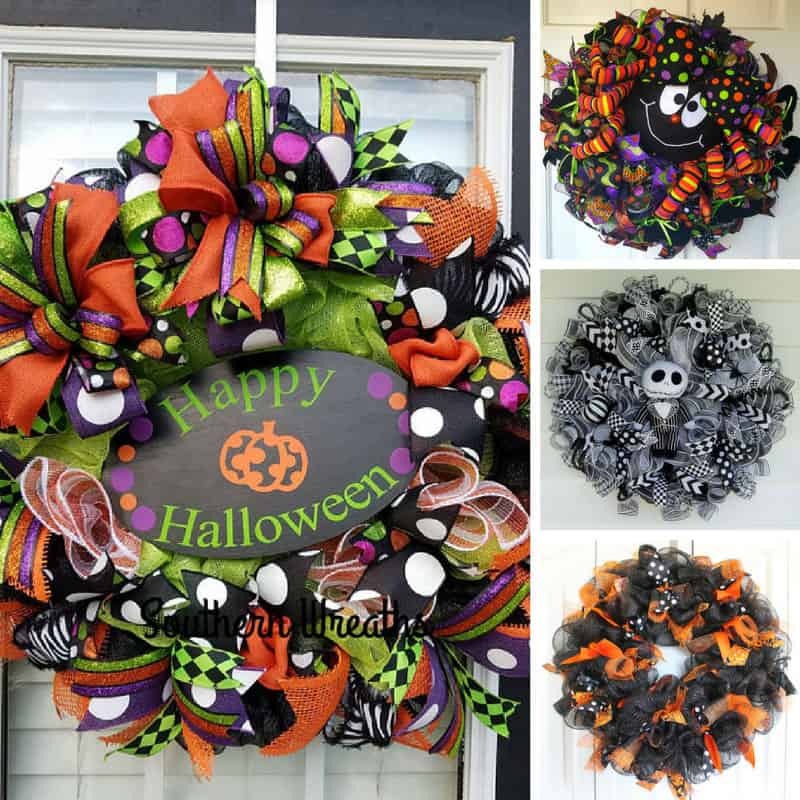 We found some more deco mesh Halloween wreaths you’re sure to love so scroll down the page for more ideas and be sure to save your favourites to Pinterest as you go! 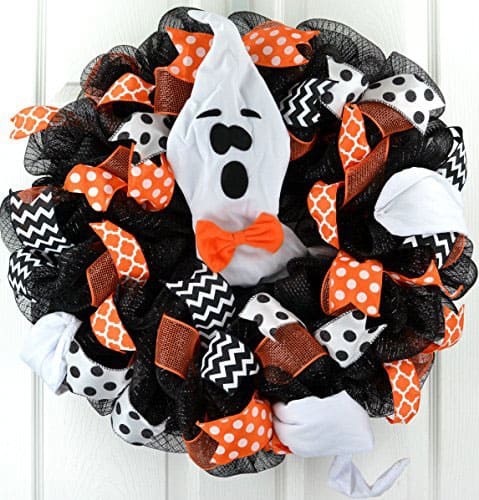 We love supporting small businesses so we always head over to Etsy for Halloween supplies. 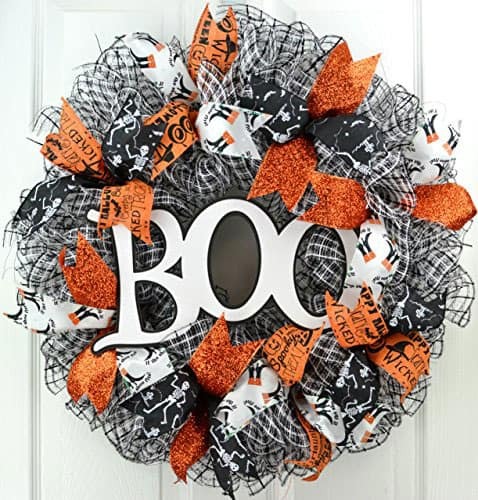 You can check out their picks of the best Halloween decor and costume ideas here!